We've likely all heard this quote in one iteration or another, alluding to the notion that we are destined to make the same mistakes if we don't know what mistakes we made in the first place. When we investigate history, it is often clear which parts we wish not to repeat. But simply knowing history is not enough. 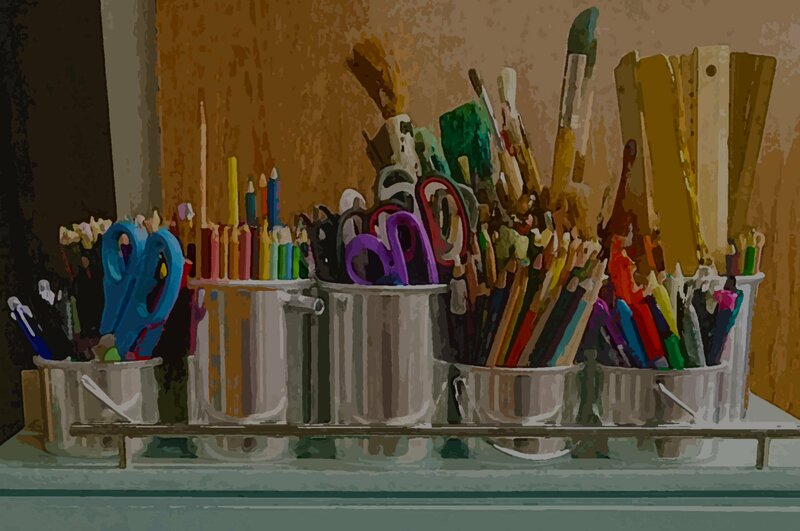 As part of the Comprehension Toolkit Series, Short Nonfiction for American History creates space for students to delve into different time periods and explore not only the events as they occurred, but the controversies, issues, and dramas that shaped them, including the exploits of lesser-known individuals. In a world proliferated with news and information, it is important now more than ever that students have the skills to critique history, and think critically about the present. Through these deep examinations, students develop the strong critical thinking skills that are necessary for decision making, verifying information, and problem solving. 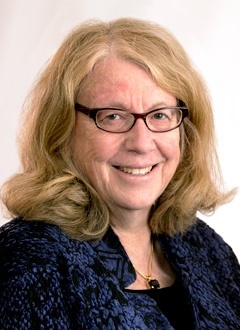 Insatiably curious about student thinking, she is a teacher first and foremost and currently serves as a private literacy consultant to schools and school districts. In that role, she conducts keynote speeches, presentations, workshops, demonstration lessons, coaching sessions and ongoing consultation to teachers, reading specialists, literacy coaches, principals and district administrators. 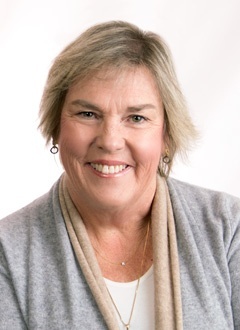 With a focus on K-12 literacy, her specialties include comprehension instruction, inquiry-based learning, content area reading and writing, nonfiction literacy, and the role of passion, wonder and engagement in teaching and learning. 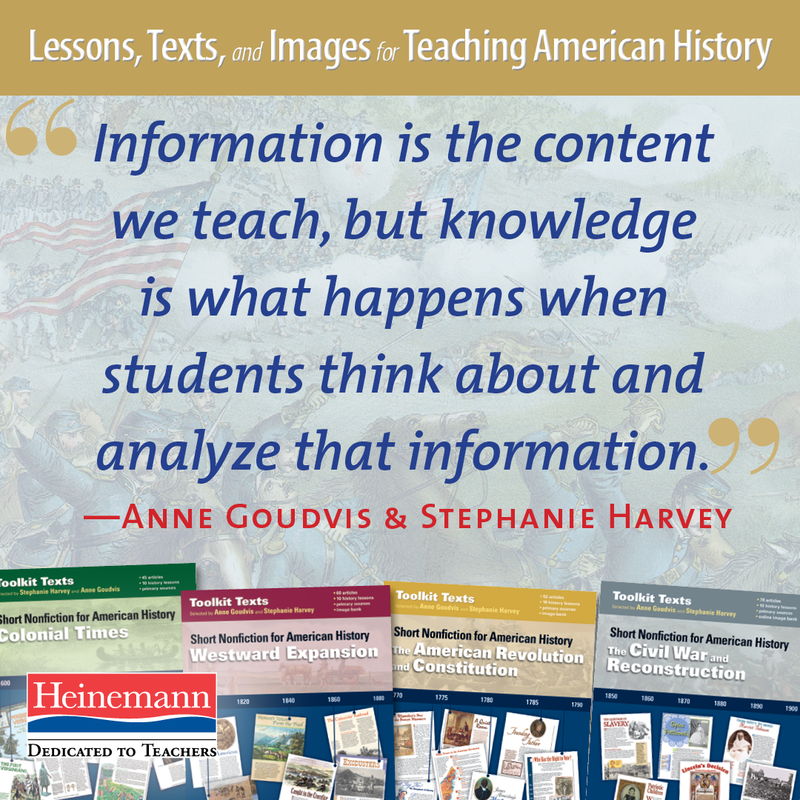 Anne Goudvis is the coauthor the Heinemann title Comprehension Going Forward and of Strategies that Work (with Stephanie Harvey). She and Steph also created best-selling classroom materials through firstHand: The Comprehension Toolkit; The Primary Comprehension Toolkit; and Comprehension Interventions. Anne has been a classroom teacher, staff developer, and university instructor. For the past fifteen years she has worked as a staff developer with the Denver-based Public Education and Business Coalition and currently does staff development in schools around the country. Recent interests include working in schools with culturally and linguistically diverse students and integrating reading comprehension instruction with content area topics in social studies and science.